Within our first few hours in Tokyo, Big hit his head on the doorway to our tiny pod apartment. Small later felt a little rumbling in the bed—just a minor earthquake off the coast. Yep, we’re officially in Japan. 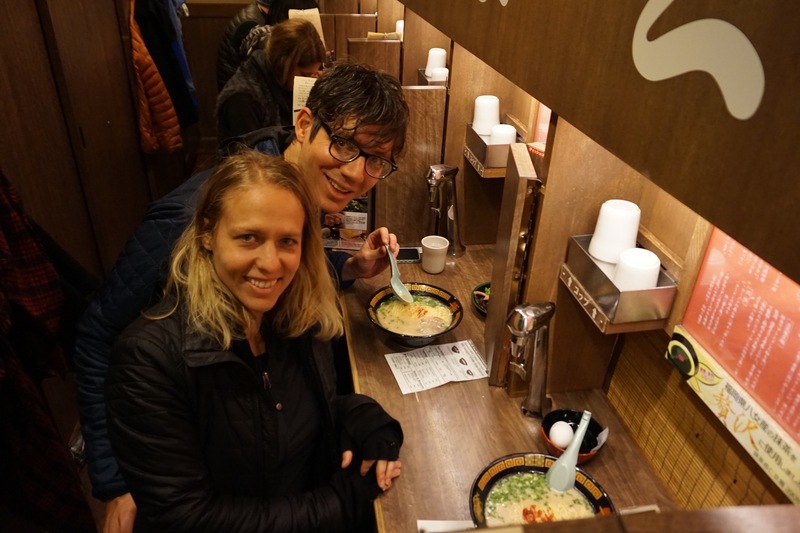 Though jetlagged for most of our week in Tokyo, we eventually got a hang of exploring this huge, wonderfully quirky metropolis—and wanted to share our discoveries. Sure, you can see the sumo wrestlers, walk across Shibuya Crossing (one of the busiest intersections in the world), or catch a Kabuki show, but we think these 16 things—both obvious and obscure—are essential to any trip to Tokyo. This is nearly impossible not to do. 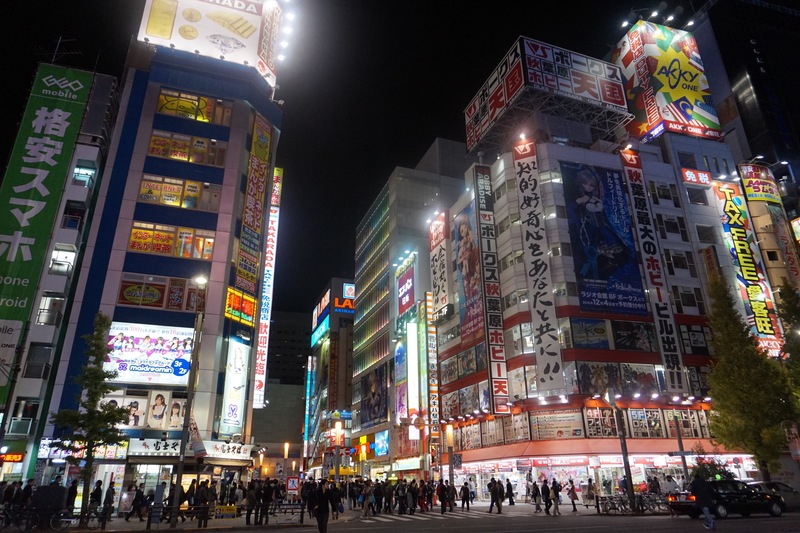 Step off the train in major commercial centers like Shinjuku, Shibuya, and Akihabara and you’ll be immediately slapped in the face with bright, flashing lights and video-game-like bleeps, bloops, and jingles luring you in all directions. It’s a feast for eyes and ears, meaning too much of it may cause dizziness and nausea. 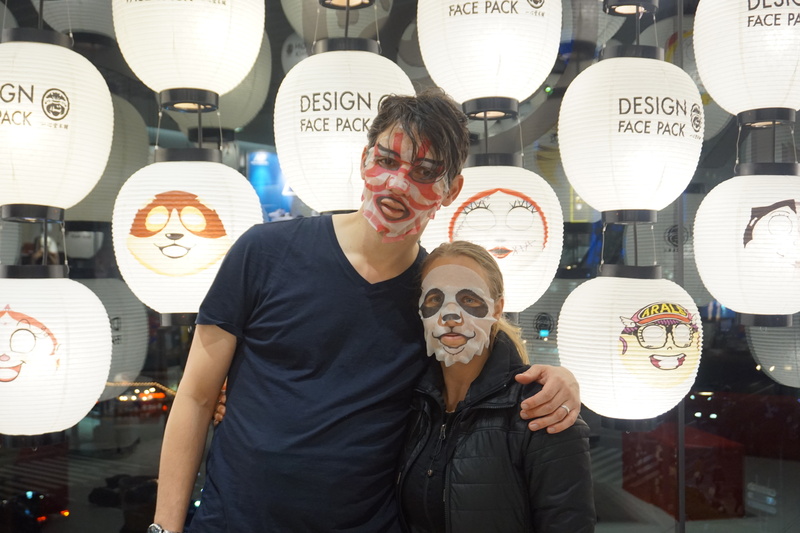 Aside from gawking at the lights, it’s nearly impossible not to shop in Tokyo. In fact, there’s almost always a mall or department store attached to the train station, meaning you never even need to step outside to freshen up your wardrobe. Go to Ginza for the luxury brands; Harajuku for wild fashions and vintage gear; and the heart of Shinjuku for shops of all stripes, colors, and price ranges. After a good quality splurge, head to the basement food hall of a department store and discover some of the most delicious and diverse delicacies in the city. Waiters are pretty passé in Tokyo, so be prepared to order much of your food from a vending machine. You’ll likely need to rely on pictures (and often plastic displays of the food) to get a vague idea of what you’re ordering. 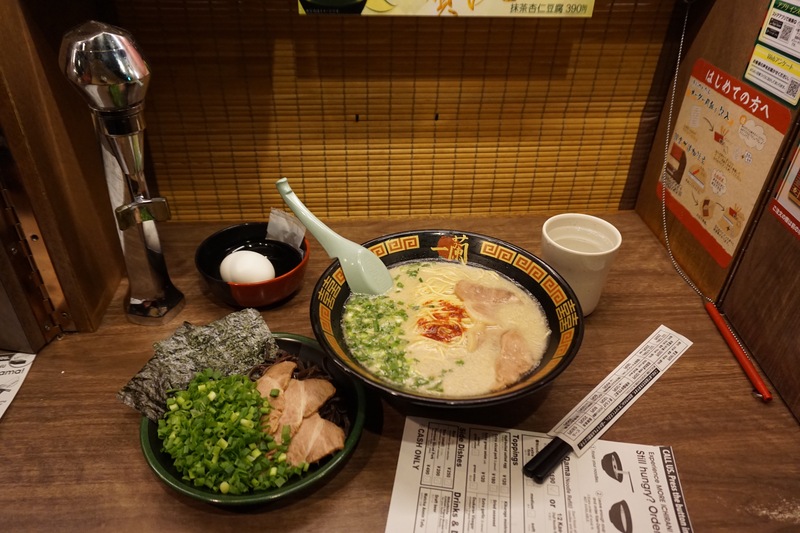 For ramen, we were directed to the popular chain Ichiran, known for its pork bone broth tonkotsu. And since this is the only soup they offer, the vending machine process wasn’t nearly as intimidating. After receiving your ramen, get right into that bowl and slurp up. It ain’t pretty, but it’s the most effective (and respected) way to enjoy the rich noodle soup. You haven’t lived and breathed Tokyo until you’ve stuffed yourself onto a train at the same time all 13.6 million residents are heading home for dinner. When you think they couldn’t possible squeeze one more limb in, there’s inevitably the guy who will sneak in at the last minute to make sure every inch of breathing room is obliterated. With so many bodies holding you up, this situation makes falling asleep while standing possible (a sight you will likely witness). 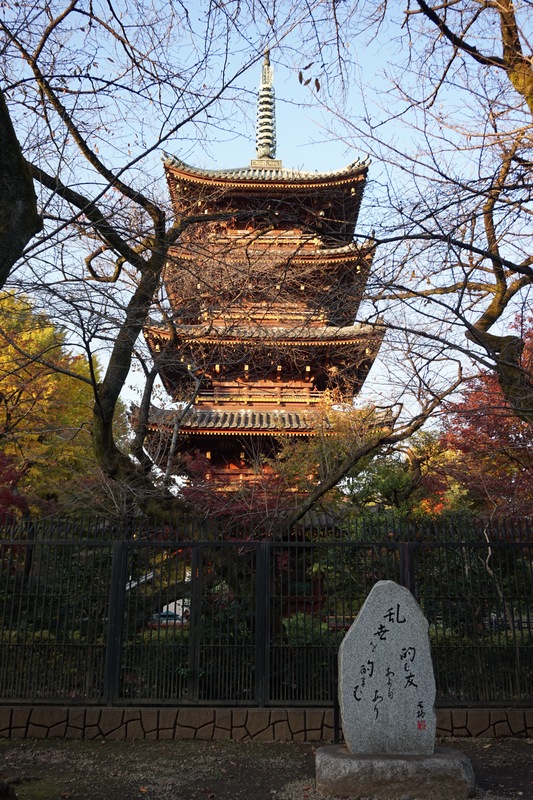 When in Tokyo, you’ll inevitably end up at a temple or shrine. Here, Big explains the purifying process before entering a Buddhist temple or Shinto shrine. Any concrete-lined urban center requires a nice, big green space to ensure its citizens remain somewhat sane. This is Ueno Park in Tokyo. 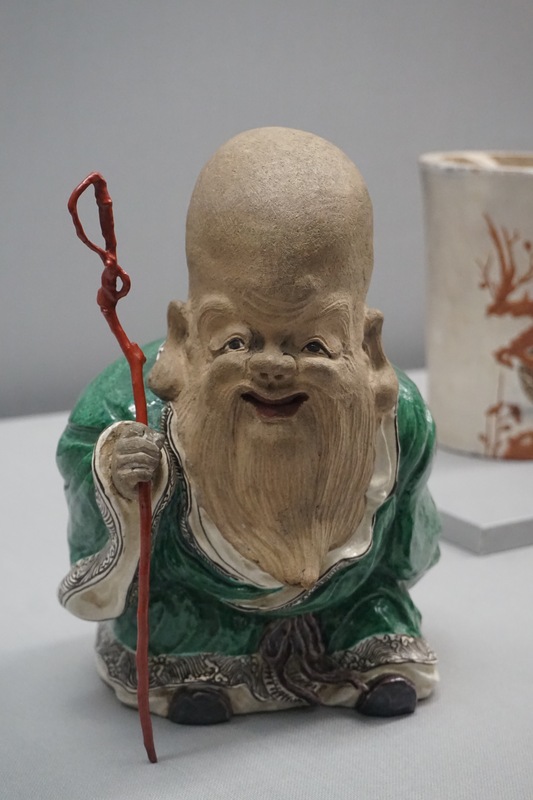 Walk the trails, check out the cherry blossoms (when in season), see the pagoda of Ken’ei-ji, and visit the Tokyo National Museum (if you’re going to go to one museum in Japan, this one’s it). 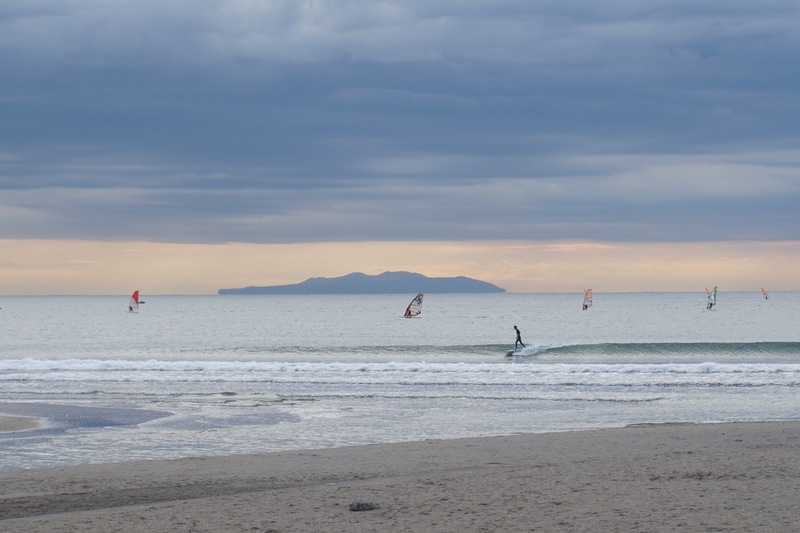 Just a one-hour train ride south of Tokyo, Kamakura provides a great little respite from the big city. Once the political center of Japan, it’s chockfull of Buddhist temples and Shinto shrines, along with cute boutiques, hip cafes, and farm-to-table restaurants. 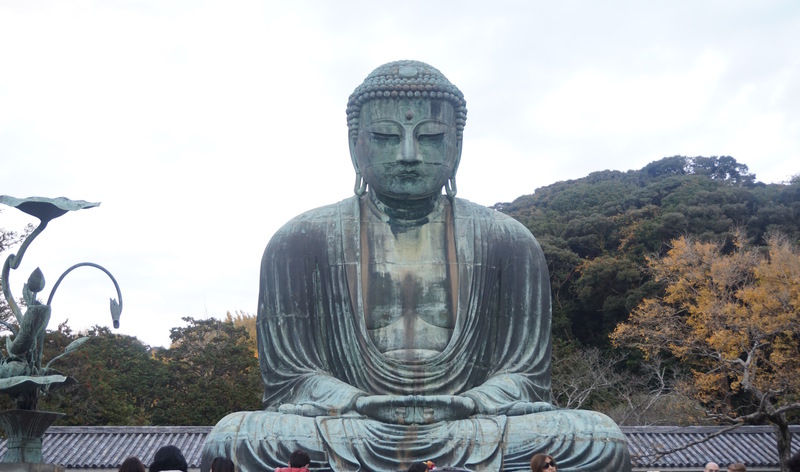 But you can’t come here without trekking out to see the Great Buddha, one of the largest bronze Buddha statues in Japan. 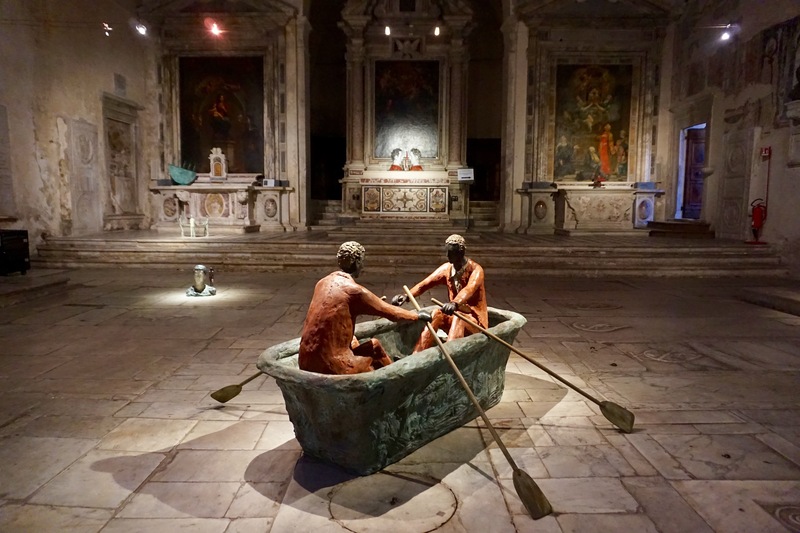 Pay just 20 yen (about $0.18) to go inside the statue as well. I have a problem with wanting to press my finger down on all of the packaged Japanese sweets and treats we come across, because many of them are made from mochi (a sort of chewy rice cake), making them all delightfully squishy. I sampled a few of these treats to varying satisfaction, though I’ve grown fond of the taste of matcha with and without my mochi. 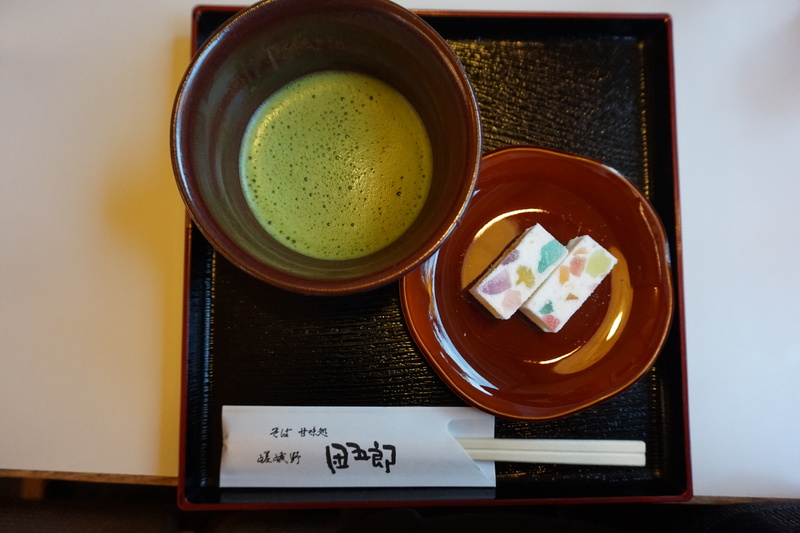 Matcha is everywhere, and is typically free when you sit down at even the cheapest sushi spot (see #9). Bonus: matcha powdered green tea is loaded with vital nutrients and antioxidants, helping to balance out any sugar indulgence. Forget the fancy sushi joints that have you dropping some serious cash. 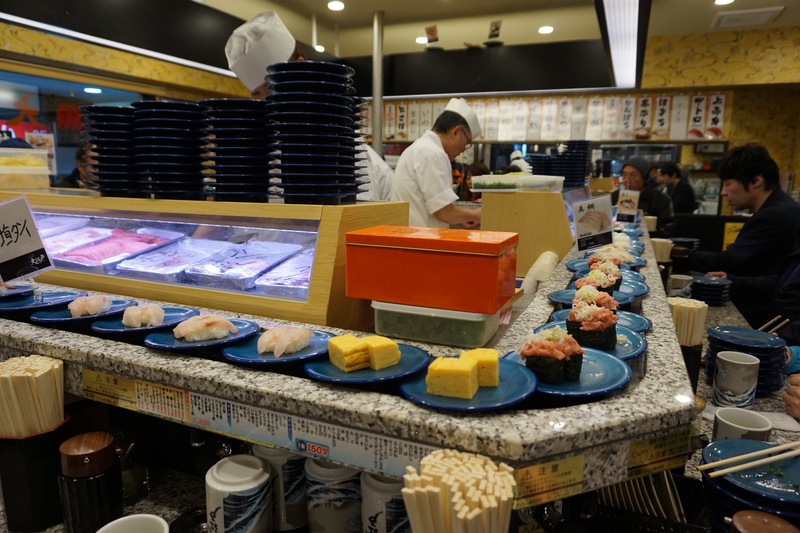 For a quick, easy, satisfying meal of sushi, head to the nearest conveyor belt sushi joint, where you can grab whatever looks good as it passes by your eyes. Plates are as cheap as 100 yen a pop and then added up for your final bill. You can also make special orders, too. It helps if you make friends with a local so they can order for you! The Japanese turn everything—I mean everything—into a “kawaii” (i.e. cute) character. The front of a bus. A cup for water. A pill container. 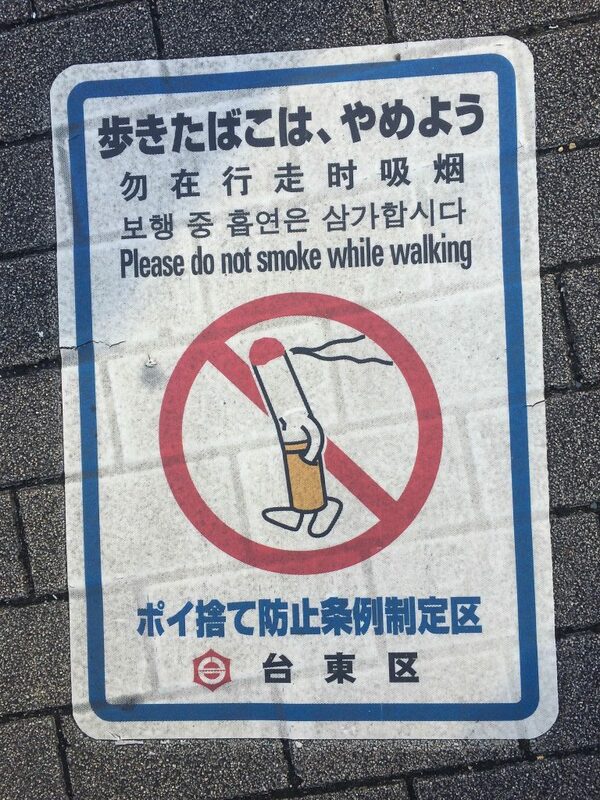 A no-smoking-and-walking sign on the sidewalk. Everything comes to life by adding a smiley face and some limbs. And, if you’re lucky, you may just run into a real-life character! 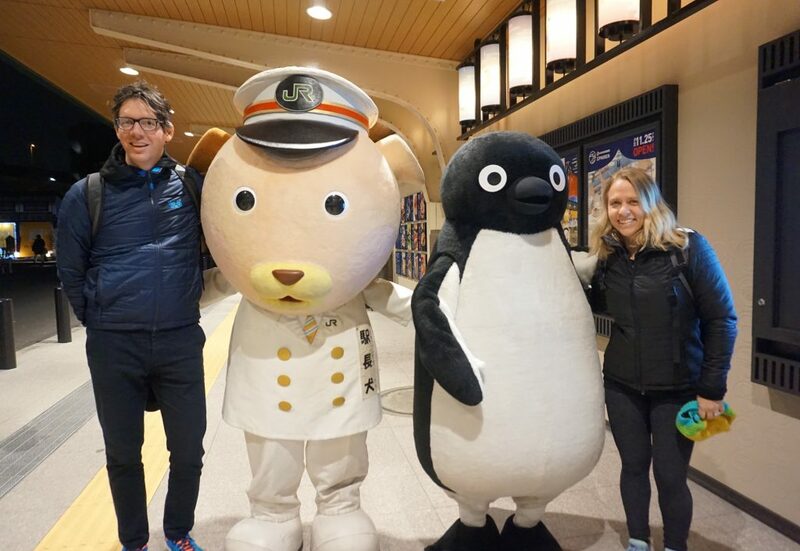 These guys were representing the JR trains and we couldn’t resist a photo with them. 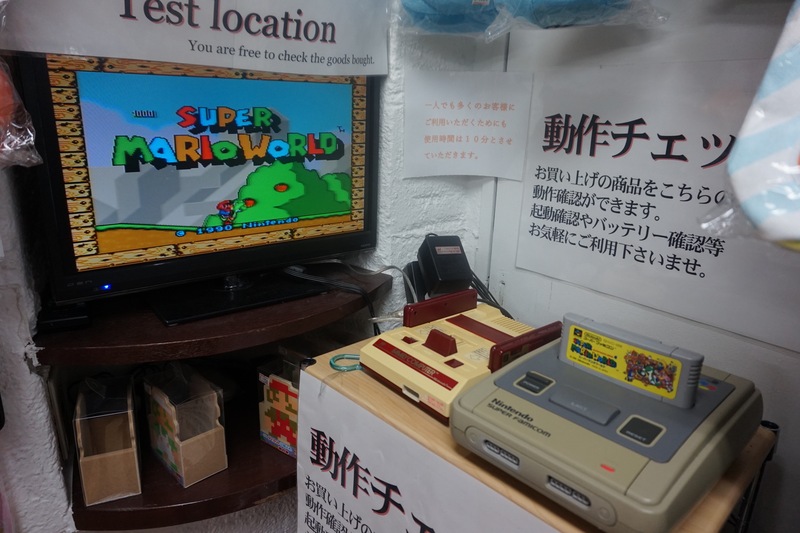 Yes, you can relive childhood with a killer game of Super Mario Bros. in various vintage game stores throughout Akihabara, aka video-game-geek heaven. As a chocolate fan I had to stop by my favorite San Francisco-based shop Dandelion Chocolate, who recently opened a Tokyo outlet. 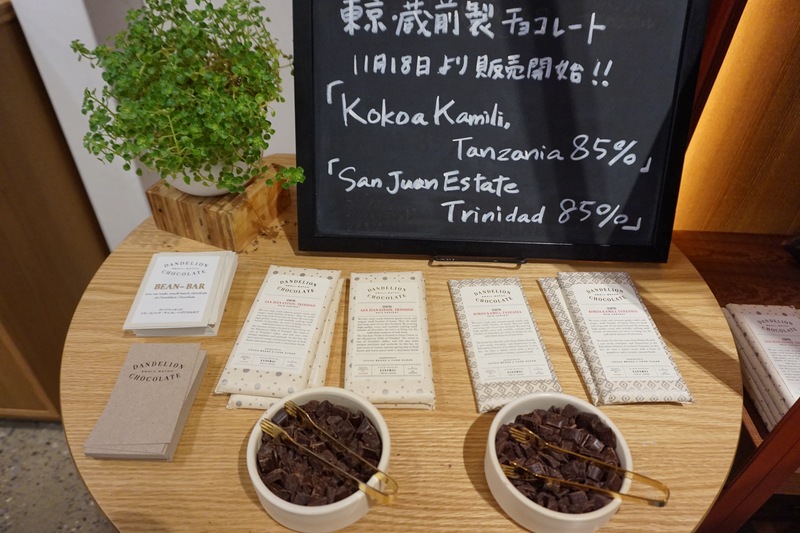 They offer the same two-ingredient, single-origin bars (the fruity Madagascar is my favorite), along with a few 85% variations that are exclusive to the Tokyo shop. 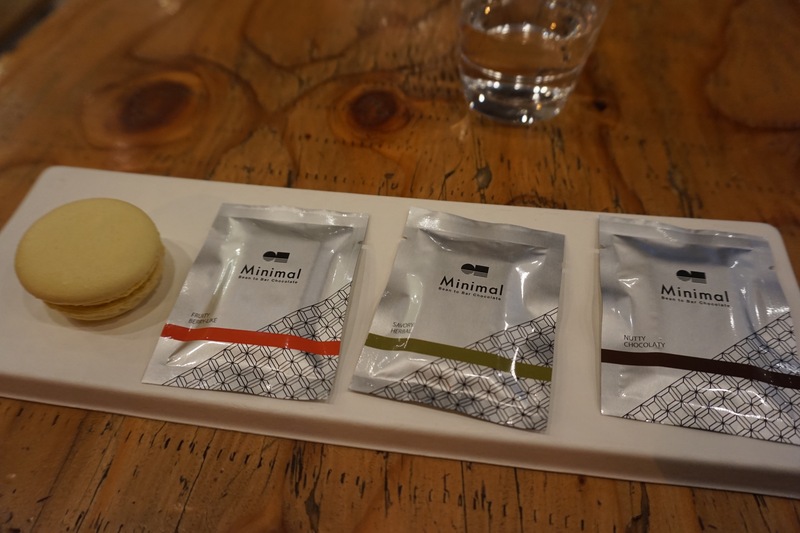 There’s also Minimal, which is the best bean-to-bar chocolate in Japan according to the barista at Fab Cafe, as well as Green Bean to Bar Chocolate, which, along with their elegantly wrapped bars and bonbons, serves up decadent desserts like bean-to-bar pudding and a house hot chocolate. You’ll get to love your local Lawson’s Station, but when you find a 100 version of the convenience store, prepare to stock up. This is basically Japan’s interpretation of a $1 store, and you can get everything from fruit and veggies to batteries to a newly pressed shirt, even when you’re on a tight budget. 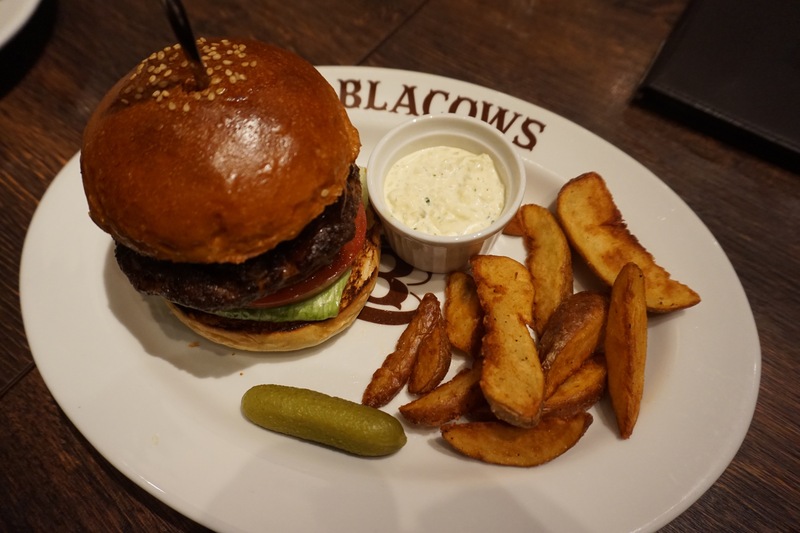 Some have claimed Blacows, a burger joint in Ebisu, may be the world’s best burger. We wouldn’t totally agree with that, however the wagyu beef patty was a nice change of pace from ramen and rice. While I love playing navigator, I did have some trouble figuring out the streets of Tokyo. Street names can be tough when you don’t know Japanese, or are just nonexistent all together, especially in the small back streets and alleys that make some parts of the city feel like a bustling village. But it’s always comforting to know that you’re never too far from a train station to orient you back to where you need to go. Just follow the yellow brick road.